The BoBunny Blog: Show me the Misc Me! Show me the Misc Me! Creativity has not limit. Artists are always thinking out side of the box! 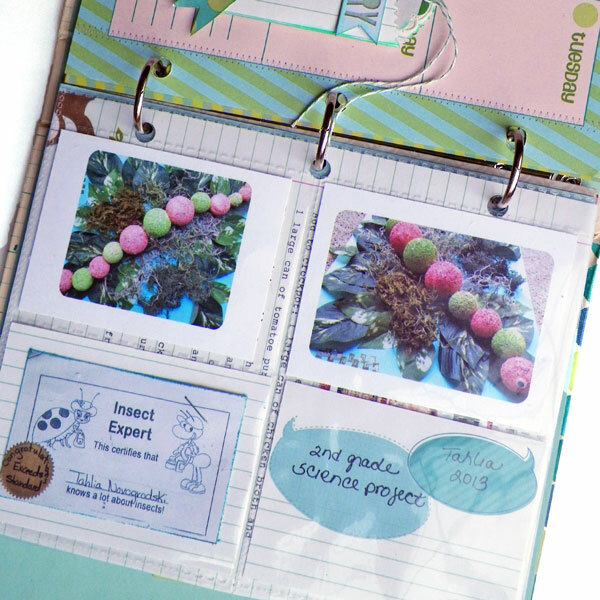 Misc Me products are typically used as journals, planner/calendars, or recipe books. Did you ever think to combine all the parts into one book?? As scrapbookers go I'm not the most organized. 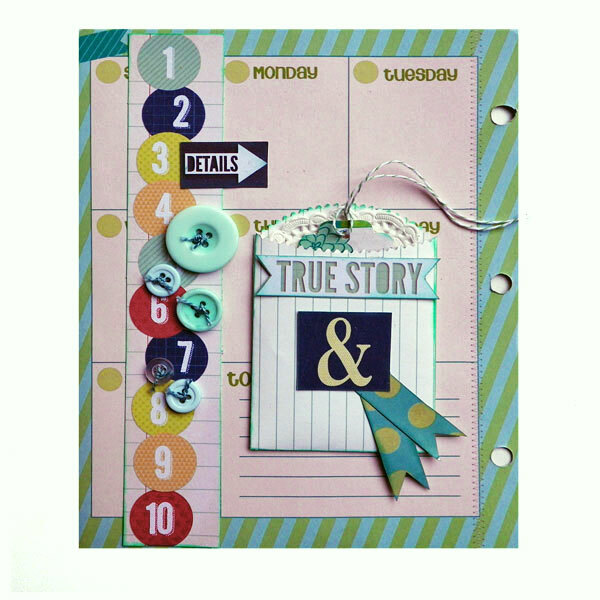 I don't scrap in order... or scrap events (in order) or um... scrap with journaling...or do any of the "traditional" things scrappers do. So when I had a chance to work with the new Misc. Me collection I knew this was a chance to get my "Family Life" in order... in a random, miscellaneous sort of way! While you CAN use it as a journal, a recipe book, an ORGANIZER, CALENDAR or photo album; I chose to use to use it as all of the above. Here you will find me sharing favorite, photos, documenting achievements, sharing our most enjoyed recipes and attaching pockets for secrets to be tucked into. 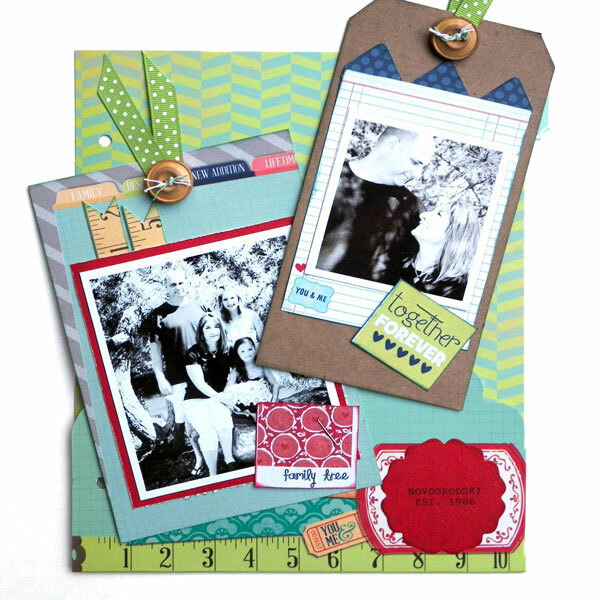 I'm working with the "Family Is" book and that was my inspiration for my selections to these pages. I started off with some photos from a shoot we did a couple of years ago. 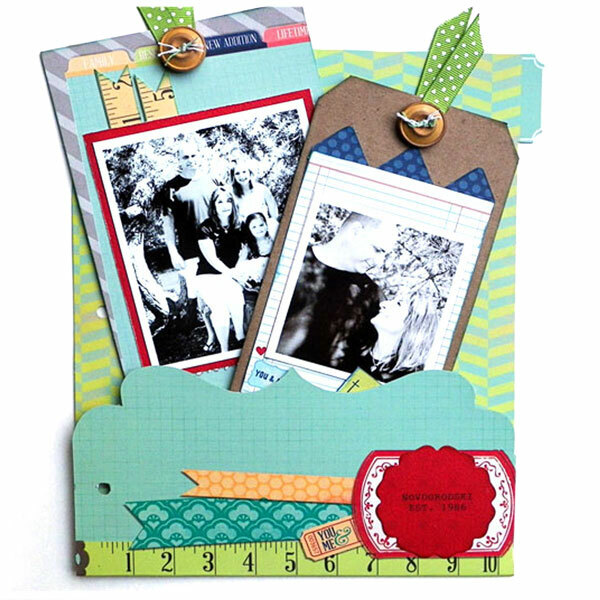 I used some of the cards in the packs to attach my photos to and made a tag out of them to tuck into the pockets. I also chose to make up my own embellishments by cutting elements apart in all the Misc. Me products. This calendar page is filled with photos from that shoot with a little reminder typed in about what I should do each day! I have made a little pocket and tag where I will write a secret message to my family. 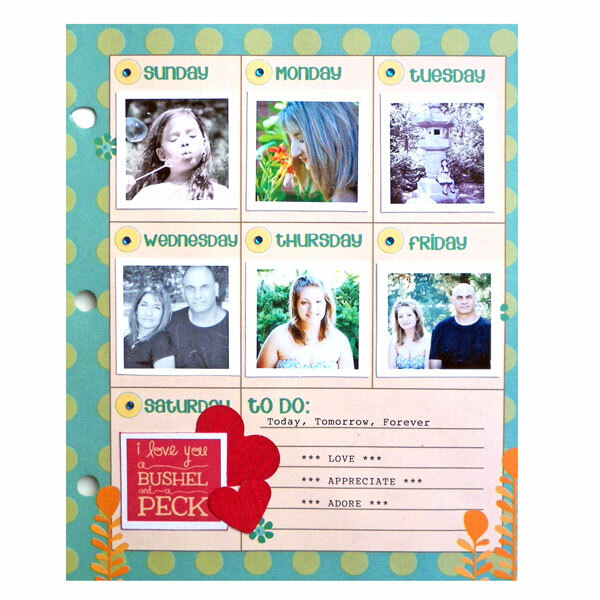 These pockets come in handy to document special achievements throughout the year. I photographed a project my daughter did this year and printed it out on cardstock. Then I added it to the sleeves. Since I can not possibly keep all the school work she comes home with I thought this was a great way to keep it documented without taking up a lot of space. 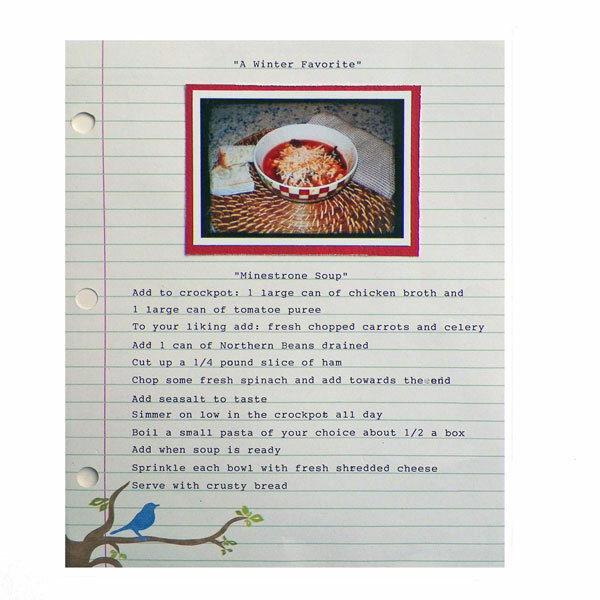 A photo and recipe for our favorite winter soup! Just a few cute photos to fit the January theme. Journaling about that day can be tucked into the pocket. Fabulous Misc Me pages, Lisa! Wonderful pages and I love the mixed use of the collection. Great job. No wonder everybody loves Misc Me!